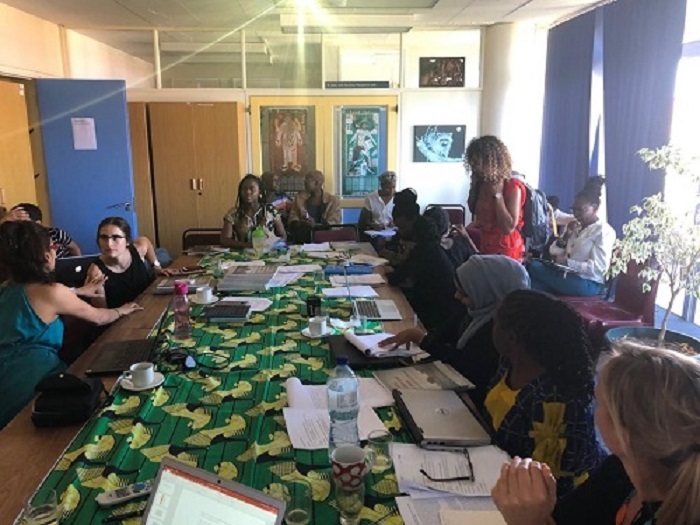 The Families and Societies Research Unit, together with the NRF Chair in Customary Law, Indigenous Values and Human Rights hosted a two-day workshop on the relationship and interaction between gender, generation and negotiating power in families on the 21st and 22nd of Jan 2019. This workshop provided a forum for scholars working within the sociology and regulation of personal relationships and gender to consider generation and generational interaction through an intersectional framework. The workshop examined how a focus on generation facilitate new understandings of the processes by which social inequalities are made and perpetuated in our intimate lives. Several leading scholars in the area attended the workshop including Sindiso Mnisi Weeks, Deevia Bhana, Nolwazi Mkhwanazi, Michael Yarbrough and several emerging scholars including four FaSRU doctoral students. John Comaroff acted as a discussant for the first day and made insightful contributions throughout the course of the day. Elena would like to thank everyone who participated in the workshop and is looking forward to taking this work further.